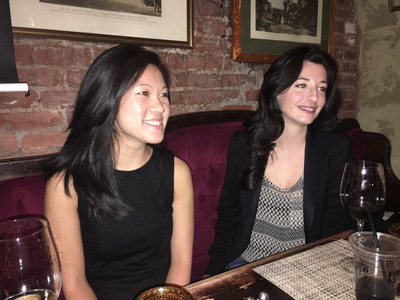 Dan Bobkoff / Business InsiderRebecca Hong and Shanna Cox, Columbia Business School graduates, discuss what they learned in classes about shareholder value. I left business school with the vague sense that corporations have an obligation to maximise profits for their shareholders. Or maybe they don’t. It turns out my confusion comes from the fact that what business schools teach is changing. I had done a fellowship that sends journalists to Columbia Business School for a year, so I recently met up with some of my classmates for a refresher. “What exactly did we learn?” I asked Rebecca Hong, who took the same core classes I did. Beyond the core, Hong took many classes in social enterprise, which promotes focusing on people and the environment in addition to profits. Another classmate, Shanna Cox, took different classes and had a more traditional view of taking care of shareholders. Sometimes, our professors sneak those other considerations in. Corporate finance is the class where MBA students learn how to calculate shareholder value. My professor, Daniel Wolfenzon, gave a homework assignment requiring students to apply formulas to decide what direction a chocolate company should take. There are many possibilities. Columbia CaseWorksProfessor Daniel Wolfenzon put these possibilities in a homework assignment to stimulate discussion of profits vs. other considerations. But Smith said companies should adhere to the ethical norms of the era they’re in. “You can only go so far in the pursuit of pure profits,” he said. That’s what economist Milton Friedman advocated, too, Smith said. It’s a position that’s often forgotten when shareholder value advocates cite Friedman. 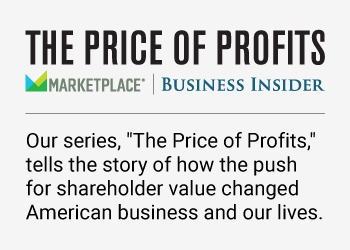 It was business schools — especially Harvard — in the late ’70s and ’80s that led the way in pushing shareholder value. But today, many students start Harvard Business School with Gautam Mukunda’s leadership class. He said he can’t wait until a student says that companies have a legal responsibility to maximise profits. One more way things are changing? Wake Forest now has a moral philosopher, James Otteson, on its business faculty. All this suggests that much of the next generation of business leaders is thinking beyond the bottom line.